Pneumadyne is a leading manufacturer of pneumatic components and pneumatic control systems. Designed and manufactured in the USA, our pneumatic valves, fittings, manifolds, and custom pneumatic components are relied upon for fluid control throughout a wide variety of industries. 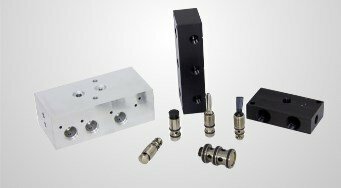 We’ve been supplying pneumatic components for more than 40 years. With multi-axis CNC machining technology and innovative designs, we deliver valves, fittings, and more, to give our customers everything they need for a complete pneumatic control system. The quality and performance of our products are second to none. We are ISO 9001:2008 certified for the design and manufacture of pneumatic components and control systems. See individual product listings for additional information and specifications. Request a quote or contact Pneumadyne today for versatile, high quality pneumatic fittings, valves, manifolds, and more. While Pneumadyne offers a broad range of standard components, providing solutions that meet our customers’ specific performance requirements is our #1 priority. Our experienced engineers welcome the opportunity to assist you in the design and manufacture of custom pneumatic components and pneumatic control systems that meet your unique needs. Request a quote on the custom solution you need. When designing a fluid power circuit, it is of utmost importance to choose the right air control valves to regulate system pressure, flow direction, and flow rate. Pneumadyne offers a full line of pneumatic valves and accessories to meet your system requirements, with numerous compact configurations to accommodate flow ranges from 2.90 to 57 scfm at 125 psi and operating pressures from 26” Hg to 150 psi. 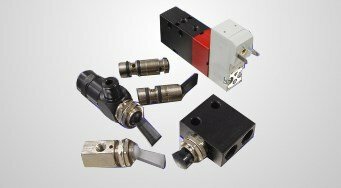 A Pneumadyne solenoid valve is a fast, efficient, and cost-effective way to direct air flow through your pneumatic system. They provide quick response times and high flow rates for compressed air other inert gases. 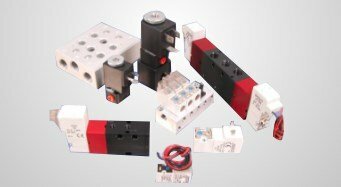 Our direct-acting pneumatic solenoid valves are available with a variety of voltage, wattage, connector, and mounting options, making it easy to find the right solution for your application. 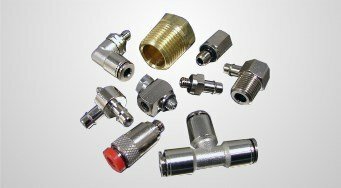 To provide secure connections between components, we manufacture precision miniature pneumatic fittings in a broad range of sizes and configurations. Machined from brass or stainless steel, they feature a captured o-ring for a superior seal and electroless nickel plating for added corrosion resistance. Threaded, push-in, barb to barb, and thread to barb connections available, including metric options. 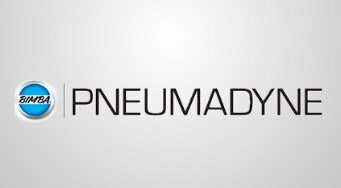 If you need a pneumatic manifold, you need Pneumadyne. 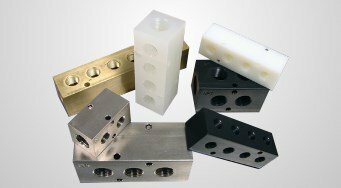 Our durable, reliable manifolds are precision machined from top quality materials (aluminum, stainless steel, brass, poly, nylon), and are available in a range of sizes, and with two to 10 output ports. Dual manifolds, 90° manifolds, junction blocks, and other specialized configurations are available. 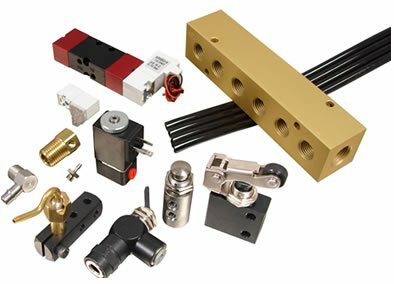 Pneumadyne manufactures high quality miniature pneumatic components for all compressed air and inert gas applications. Order the pneumatic valves and solenoid valves, pneumatic fittings, and pneumatic manifolds you need today, request a quote, or contact us for more information.